People reports that not one, not two, but three separate malls in Sacramento, Chicago, and Nashville were the locations of massive fights this weekend, involving hundreds of teenagers overall. On Friday, an 18-year-old and a 17-year-old were arrested after a fight broke out in the food court of Arden Fair Mall, in Sacramento. One witness stated after the fight was contained, she saw about a dozen people in handcuffs. According to the mall security manager, the mall was evacuated after they heard what sounded like gunshots. However, Sacramento police found that the gunshot-like sounds was actually that of a large planter that had tipped over, and not actually a gun. On Saturday, shots were also heard in another food court fight at Chicago Ridge mall. No arrests have been made, there were no reports of injuries, and it doesn't look like gunshots were actually fired, but people evacuated nonetheless. 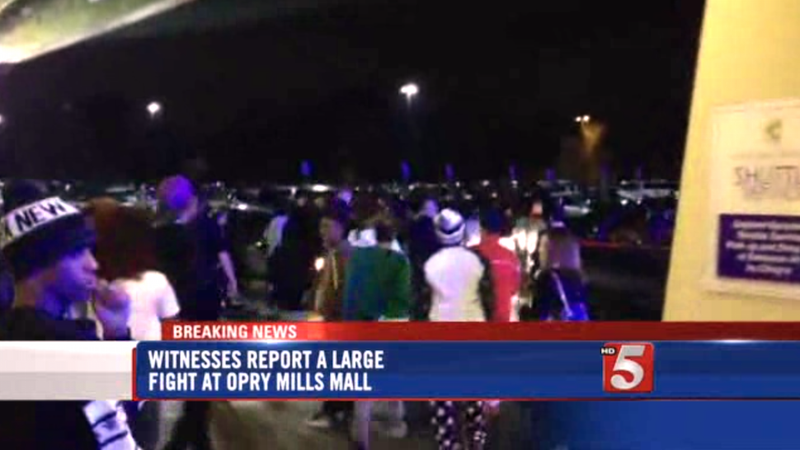 Last and certainly not least, on Saturday night, witnesses stated that about 150 teens were caught up in a brawl at the food court of Opry Mills Mall in Nashville. 150 teenagers. Jesus. According to police, the incident began with three teens and according to WTVF, it's not clear just how involved in the skirmish itself the several dozen teens were. As if my anxiety about malls and teenagers weren't strong enough. But what do we even learn from this situation that we didn't already know? Don't go to mall food courts? UM, DONE. Don't give high schoolers winter break because they become hella restless when they're stuck at home for more than three days? Yeah, I think that's it.